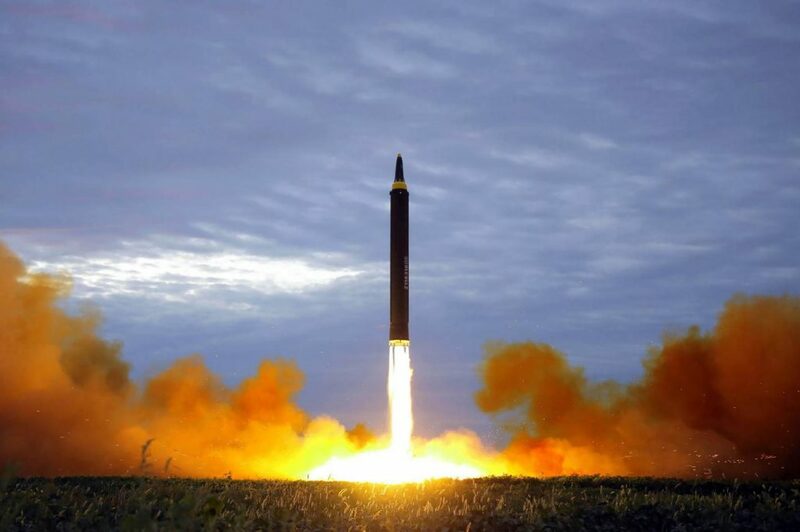 Reportedly, the North Korean regime run by Kim Jong-Un is conducting weapons experiments to test the feasibility of anthrax-laden warheads on its intercontinental ballistic missiles. In a report in Japan’s Asahi newspaper, an anonymous source in South Korean intelligence confirmed the biological weapons theory. The report said the U.S. government knew of the tests, but were uncertain if the bacteria could survive at such extreme temperatures that warheads experience. Anthrax is a deadly contaminate that has a death rate of 80% when exposed to humans. Weaponized anthrax is most potent through inhalation, which would be readily abundant if it was on an ICBM. I’ve heard that kind of talk before from leaders who were hell bent on concealing the truth, so spare me if I seem a little hesitant to believe the Korean. Secretary of State Rex Tillerson said he is not planning to “alter longstanding and scheduled and regular military exercises.” In the wake of the Olympics happening in South Korea next year, all interested parties are on high alert for an attack from the North Koreans. “It is a display of the President’s strong message that North Korea must not conduct any provocation (during the Olympics),” a Korean official told reporters. Pyongyang interprets the joint military exercises shown from the Americans and the South Koreans as provocation to war. The international community has not been sympathetic to the North Korean regime. They have been hit with increased sanctions due to its increase in missile launches this year. The Chinese are also upset about the brewing conflict. They are presumably the only force in the area that isn’t outright hostile to North Korea. They probably want to see a diplomatic resolution to the matter more than anyone. In the case of war, there would be millions of refugees pouring over their border with no job skills and no Chinese language skills.